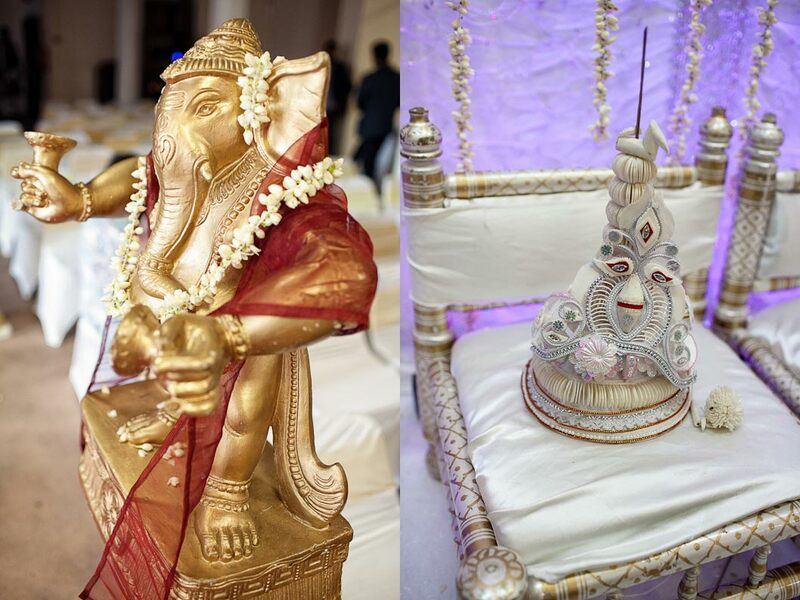 Hindu wedding cinematography, Indian videographer wedding film. Indians love color and this is what you will see in an Indian wedding otherwise known as vivaah in Hindu. Note that marriage to the Hindu is like a sacred thing. It is like a rite of passage and enough importance I given to every step of the process by both the bride and groom families. This very intimate ceremony is hosted by the bride’s family. The ceremony starts with a procession of the groom’s family into the house of the bride’s family. This procession is usually accompanied by singing and merry making. As the groom’s family enters the house, they are welcomed with sweets and drinks which to an Indian will represent happiness and better days to come. After the visitors are seated in the reception area, a prayer is said before the ceremony proper commences. 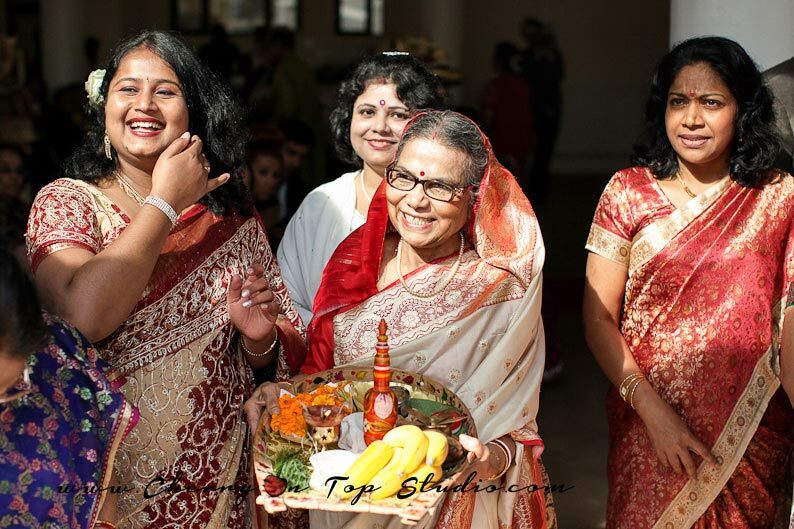 Like other Asian weddings, the bride is ushered into the reception ground by a maternal relative usually an uncle. She will always be accompanied by beautifully clad bridesmaid and groomsmen. In the mandap that she shares with the groom, the future couples are separated by a cloth. This cloth that is called antarpat in Hindu will be removed once they are declared married. The ceremony itself is like a romantic drama that is being acted with the bride and groom acting like they have never met before. After the real meaning of Hindu wedding has been explained to them, they are asked to give their consent for the ceremony to proceed. All this takes place amidst beautifully decorated surrounding. Such beauty should not be lost to the minds of the bride and groom just after the marriage. Therefore to immortalize the day most Hindu brides will get a professional videographer to film every stage of the ceremony. You will be able to get still pictures as well as videos. For the parents, the most heart touching part of the ceremony is when they are asked to give away their children. 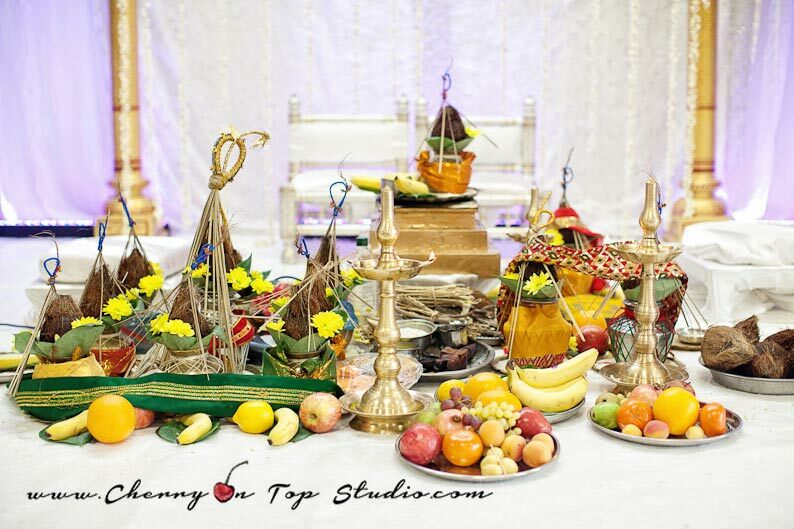 This is one act they will cherish for the rest of their and a good reason why a hindu wedding cinematography expert should be present to cover the occasion from start to finish. Imagine looking back at the pictures or videos where the bride and groom threw rice on each other to show their concern. This show of love will surely serve as a reality check and possibly add spice to any marriage. 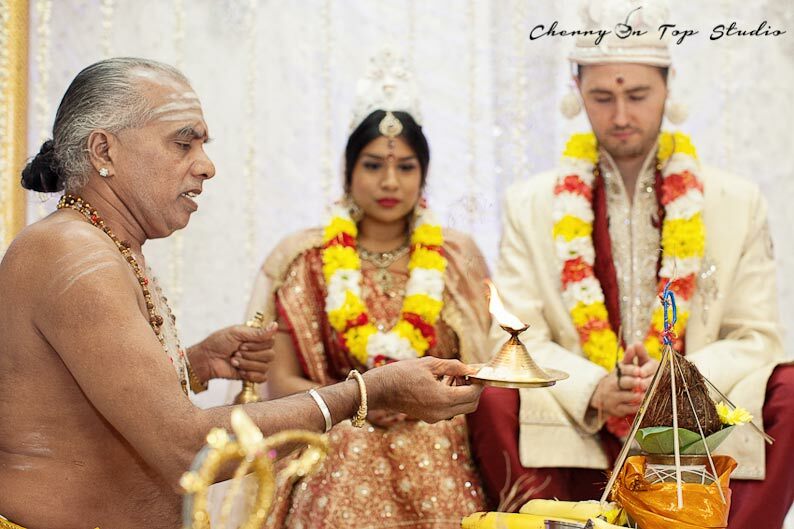 As the Hindu ceremony continued, the groom will give a necklace to the bride and the bride will place sandal wood paste or chandal tilak on the groom’s head. They light the sacred fire and circle it four times with help of the bride’s brother. After the circling is finished, the bride is asked to move to the left side of the groom depict the passage into marriage. The bride and groom then take seven steps that are filled with meaning. All guests will then offer their blessings and the couple will officially be declared husband and wife after which they will retreated from the ceremony. However, this is a good time for the hired videographer and photographer to take a group picture of the couple and their guest.